Professor Emeritus of University of Peradeniya G. H. Peiris who has done extensive research in contemporary politics speaks about unitary and federal concepts, and the way forward for Sri Lanka. In an email interview with, Dailymirror he says the Eelam struggle remains despite the demise of LTTE leadership in the battlefront. QThere is confusion in the minds of ordinary people on the unitary character of a constitution and Federalism. How do you define both? An unitary constitution is one which is designed to confine supreme political power of a nation-state to a Central Government, while facilitating sub-national units to exercise only those powers that are delegated to it by the Centre.The term ‘federal’ is applied, somewhat loosely, to refer to systems of government that provide for the division of political power in a nation-state between two sets of institutions – one with authority over the entire nation-state and the other with authority over territorially demarcated sub-national units – with various types of constitutionally stipulated arrangements for power-sharing and interacting regulatory devices on the exercise of power vested on the institutions at the two levels. Since in almost all nation-states – “federal” or “unitary” – are featured by both national as well as sub-national institutions of government, there is an absence of exactitude and precision in the use of these appellations. On the lack of clarity in the unitary-federal dichotomy, we should note that the overwhelming majority of nation-states in the world have systems of government that are categorised as ‘unitary’, and that in some among these (for example, Great Britain or Japan), the extent of decentralisation of power is so pronounced that, de facto, they resemble certain federal systems. Moreover, several so-called ‘unitary’ constitutions also provide for self-governing entities within their national territory – for example, People’s Republic of China, Georgia, Moldova, Tajikistan, and Uzbekistan. · Written constitutions that could be changed only on the basis of common consensus, not only between the Centre and the States, but also among the States of the federation, thus curtailing unilateral action that could be taken at any level of government. · Constitutional provisions for the exercise of law-making powers by sub-national legislatures is often considered a hallmark of federalism, with such powers confined to specific functions and are also subject to central control. · Direct representation of the States of the federation in the legislative institutions of government at the Centre. · Constitutionally specified overarching ‘reserve’ powers at the Centre (especially in respect of executive and judicial aspects of governance). · Provision for direct communication between the governed and the institutions of government at the different levels. · Concentration of powers pertaining to security, defence and foreign relations at the Centre. QSome scholars even argue that Sri Lanka is already a Federal state due to the power being devolved to the Provincial Councils. How do you see it? · As implied in my response to your previous question, such an argument is merely one of semantics. There is no doubt that the ‘Thirteenth Amendment’ to the present constitution provided for the vesting of a range of powers to sub-national spatial units (i.e. Provinces) and that some of those constitutional provisions (such as, for example, those pertaining to land or law enforcement), had they been implemented fully, would have made it possible for the governments of such spatial units to be even more autonomous than the sub-national spatial units of certain so-called ‘federations’ elsewhere in the world. So, in that sense, the contention that Sri Lanka is already a federal state is not entirely without substance. QDoes Sri Lanka need a sub-national tier of government vested with law-making powers in order to strengthen democratic governance and facilitate genuine sharing of powers among its people? · If devolution of powers to territorially demarcated sub-national units is considered the most effective modality of strengthening democratic governance and facilitating inter-group power-sharing in Sri Lanka, (I do not subscribe to such a viewpoint), there are two crucially significant questions that need to be raised – namely, what is the spatial network most suitable for that purpose and what are the powers that should be devolved. These two questions, it should be emphasised, cannot be answered with recourse to constitutional theory or to generalised experiences of other countries, which unfortunately is what the exponents of ‘Federalism’ for Sri Lanka often tend to do. These questions must necessarily be answered on the basis of Sri Lanka’s experiences, Sri Lanka’s survival as a sovereign nation-state, the threats to the territorial integrity of our country, our peace and stability, and our economic, social and cultural needs. I would be taking a lot of your time and newspaper space if I were to elaborate the entire gamut of considerations that are of relevance to the issues pertaining to devolution of powers of government to a network of territorial units such as provinces. I will hence confine myself to two considerations which I believe are of paramount significance. The first of these is that an enhancement of province-based devolution (as it appears to be envisaged by the present constitutional reformers) in the guise of “power-sharing” among the country’s ethnic groups, apart from being blatantly nonsensical from perspectives of the relevant empirical realities relating to the geography of ethnicity in the country, would be detrimental to the promotion of inter-ethnic harmony, political stability, macro-regional planning of resource use, and the urgent need to improve the quality of life of the poor. I must stress that the pernicious ‘Thirteenth Amendment’, externally imposed as it was on Sri Lanka under duress at a time of internal insurrectionary upheaval, should not be considered a source of sacrosanct guidelines to reforms in any aspect of governance in our country. Secondly, it is absolutely essential to understand that the demise of the LTTE battlefield leadership in mid-May 2009 has not marked the abandonment of the Eelam struggle. The surviving collaborators of that secessionist effort here and abroad have in fact been more strident than ever before in their demands. QWhat is the best suited model of governance for Sri Lanka in your view? Before making suggestions on models of governance, let’s think of Sri Lanka’s constitutional and other statutory requirements that are indispensable, given Sri Lanka’s predicaments at present and in the foreseeable future. The foremost among them, in my understanding, is a very strong Central Government with a Head of State/Government elected by the national parliament serving as an ‘electoral college’. It is desirable to restrict the size of the cabinet to about 30, consisting entirely of the elected membership of parliament. A national parliament consisting of approximately 200 people’s representatives,with the overwhelming majority elected on the ‘first-past-the-post’ basis from a network of spatial constituencies, instead of the ‘electoral district cumpreferential voting system’ we have at present. The present system has entailed, among other things, extravagant and excessively large campaign spendingand/or the use of misappropriated state resources by serious contestants already in office, and has thusincreased the incidence and intensity of electoral malpractices. A system of ‘reservations’ (of seats in the legislature) should be incorporated into the elections system in order to ensure adequate representation to under-represented groups. It is also necessary to introduce statutory checks on inter-party ‘crossovers’ in parliament – this too, in order to curtail changes by members of parliament in their party affiliations induced by bribery of one sort or another – offer of posts in the executive branch and financial inducements. If power-sharing among different groups that constitute the Sri Lankan population is to be achieved without making Sri Lanka vulnerable to secessionist forces, the most effective (and the most feasible from the viewpoint of prevailing popular will) appears to be devolution of certain powers and functions from the Central Government to elected institutions established at the level of Districts. Such a change would imply the disbanding of the present system of Provincial Councils. The pernicious ‘Thirteenth Amendment’, externally imposed as it was on Sri Lanka under duress at a time of internal insurrectionary upheaval, should not be considered as a source of sacrosanct guidelines of policy pertaining to any aspect of governance, leave alone constitution-making. To be brief on this point I refer to the fact that most of the advantages of District-based ‘devolution’ have been examined in detail by a Presidential Commission in early 1979 – the so-called ‘Tennakone Commission’. 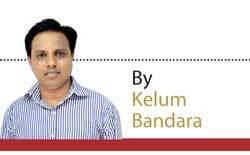 There is, of course, a likelihood of the present political leadership of Sri Lanka adhering to the view that the ‘Provincial Councils System’ is so firmly entrenched in our polity that it would not be feasible to disband it. In the event of this view being accepted, I suggest that it would then be essential to (a) reformulate the provincial boundaries, and more importantly (b) to establish within in each of the coastal provinces a ‘Union Territory’ extending over a small area to be administered by an elected ‘local government institution’ which is directly responsible to the Central Government (There are, at present several countries that have such arrangements from which we could draw lessons). These ‘Union Territories’ could serve requirements of both national security as well as special investment zones for intensive tertiary sector development. It is absolutely essential for the constitution to ensure that all sub-national institutions of government function under the overarching control of the Central Government. For this purpose it is necessary for the constitution to specify the powers and functions that are devolved to sub-national institutions devoid of ambiguity such as what we now have, for example, in defining “State Land”. It is also important to ensure, through statutory devices, transparency in all transactions of the so-called ‘Civil Society’. Additionally, all ‘diplomatic’ and ‘developmental’ transactions of Sri Lanka with foreign institutions including the UN should to be subject to control by the Central Government. QHow valid is the claim that the north and the east are the traditional homeland of Tamil speaking people? In spite of the anomalies and distortions inherent to the ‘Traditional Tamil Homeland’ on which much has been written, even after the conclusion of the protracted secessionist war waged by the LTTE, the claims made by its exponents have continued to figure prominently in the politics of Sri Lanka. 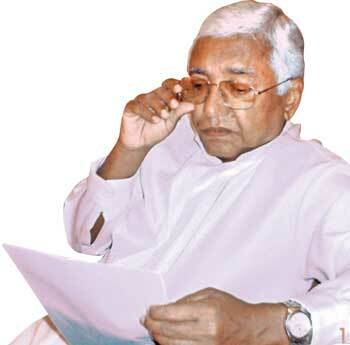 In specific terms, what is now being demanded by the more prominent Tamil political parties representing the Northern Province is a package of statutory reforms extending beyond the provisions of the ‘Thirteenth Amendment to the Constitution’ which was imposed on Sri Lanka in 1987 by the Government of India through a series of intimidatory interventions that made use of the intensely turbulent political conditions that prevailed in the island, and on the basis of a promise of ensuring the elimination of the secessionist insurrection which, ironically, the Delhi government itself had nurtured at its early stages. Needless to say, despite the fact that the Indian government failed to fulfil this pledge, even after the amazing success achieved by Sri Lanka twenty-two years later, despite the disruptive external interventions that continued to be placed against its efforts, the overtly “friendly” Government of India has not abandoned its insidious interventions which so obviously has the impact of strengthening the ‘Eelam’ campaign which has, by no means, ended with the battle-field defeat of the Tigers in mid-May 2009. QHow do you analyse the reasons for the evolution of this problem even to the extent of demanding Federalism? A comprehensive answer to this question, Kelum, cannot be given in this brief interview. The evolutionary perspective of the ‘Federal demand’ by a formidable segment of the Tamil political leadership in Sri Lanka has, in fact, been analysed in several writings that trace its origin to the claim of the Tamils in the island of Sri Lanka constituting a ‘nation’ made by Ponnambalam Arunachalam, the early 20th century and C. Sundaralingam, member who represented the Vavuniya electorate of the State Council of the late 1930s, the formation of the Ilankai Thamil Arasi Katchi (ITAK, literally, the Lanka Tamil Kingdom Party, a.k.a. ‘Federal Party’) by a breakaway group of the Ceylon Tamil Congress in 1949. And the formation of the ‘Tamil United Front’, a coalition of parties that declared commitment to the establishment of Eelam, – a Tamil nation-state extending over the northern and eastern coastal areas of the island. This Tamil leadership in mainstream politics was displaced (some among them physically liquidated) by Tamil militants, especially the LTTE. By about the 1990s, the LTTE had acquired sufficient strength to dictate terms to those in parliamentary and local government politics who, in turn, were made subservient to the Tiger leadership as to compel them to declare that the LTTE is the sole representative of the Tamils of Sri Lanka. External sponsorship and support from expatriate Sri Lanka Tamils, from India and other global powers that were sympathetic to the Secessionist cause were vital ingredients in this process especially since the early 1980s. QWhat is the best way to address separatist ideology? To be very brief once again, as I have explained in detail in a publication titled ‘Youth Unrest and Insurrection in Sri Lanka’, there should be a very special focus by the government of Sri Lanka to respond to the genuine grievance of the youth of the country. In this respect, large numbers of young people especially in the North, made destitute by the protracted war, should receive special attention. What appears to be forgotten even by the Tamil leaders of the country is that the re-creation of socio-economic conditions that generated the alienation of such youth in the guise of ‘Reconstruction and Rehabilitation’ would fall far short of requirements. The actual need, in my understanding, is to aim at encompassing the alienated youth in the macro-economy of Sri Lanka. To be realistic about the related possibilities we should not discounting the fact that it is not possible to recreate the pattern of “functional specialisation” of each ethnic group in different segments economy that featured Sri Lanka under colonial rule. — in short, the same demands for internal and external self-government demanded by the LTTE in the heyday of the ‘Eelam War’.